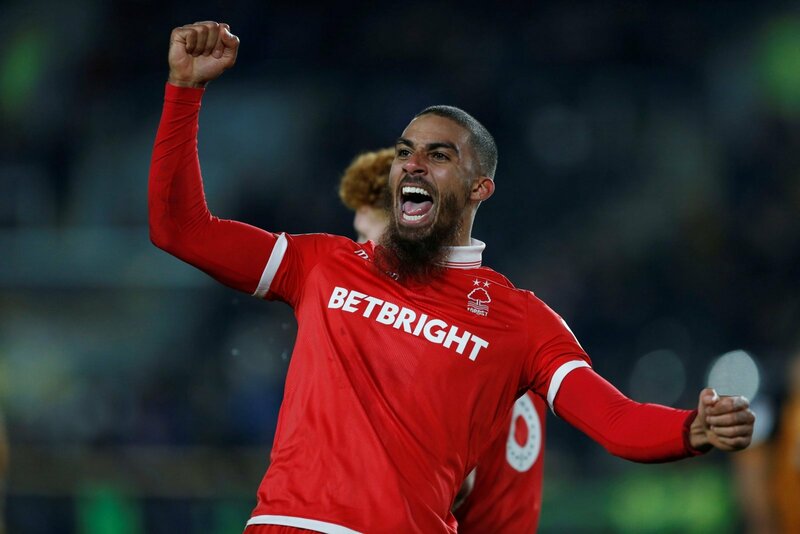 Lewis Grabban is a top Championship player, there’s little doubt about that, but perhaps he should have one eye on his future after the recent events at Nottingham Forest. There’s yet another transitional period underway for the Reds, Aitor Karanka recently leaving the club to be replaced by Martin O’Neill. Grabban, with 16 goals to his name, would seemingly be one player who shouldn’t fear for his future. That might not be the case right now, despite his remarkable scoring record over eighteen months across three teams. He bagged regularly for Sunderland, Aston Villa and now Forest in the second tier, but there have been hints that all might not be rosy. His goal against Brentford this weekend earned some praise from Martin O’Neill, but it was his first since December 1st. Forest have stumbled out of the top six and lost a manager in that period. If their top striker had bagged a goal or two, would things be different? Is there a feeling he went missing when needed the most? He’s only started two of O’Neill’s four matches in charge, hinting that he may not be the first team regular that many have him earmarked as. Leo Bonatini has joined on loan and although O’Neill has favoured two up front, Grabban spent much of Saturday’s game as a lone striker. With the robust Daryl Murphy known to the manager, could Grabban fear being edged out? Then there’s the penalty comments. Grabban missed a chance from twelve yards to make it 2-0 having already given his side the lead, drawing criticism from the 66-year-old manager. Whilst he praised his all round performance, the penalty comments were rather barbed and might be taken the wrong way by the player. He’s got one goal in twelve weeks, is about to be hauled off penalties and has only started 50% of the new manager’s matches in charge. Despite his potency in front of goal, despite the £6m summer price tag and his huge efforts in helping the side up the table under Karanka, Lewis Grabban might just be wondering if the writing is on the wall for his Nottingham Forest career this summer.